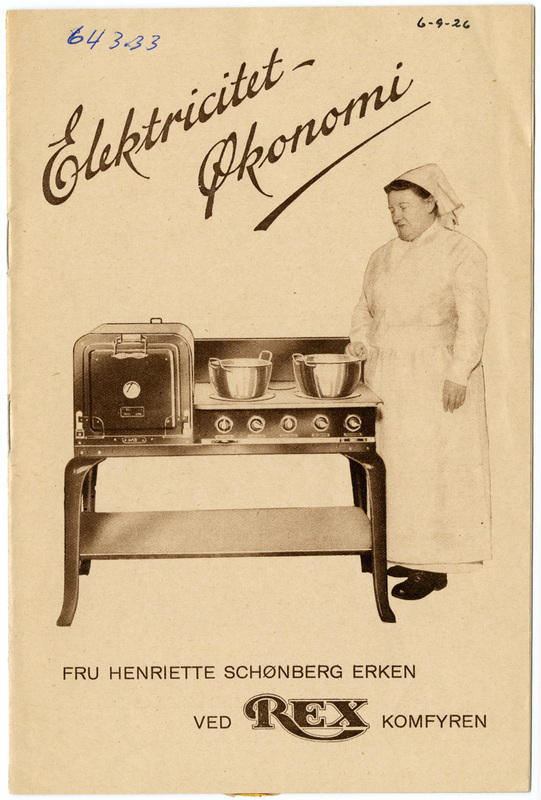 Henriette Schønberg Erken by the Norwegian-made electric stove ”Rex”, advertising from Elektrisk Bureau, 1926. 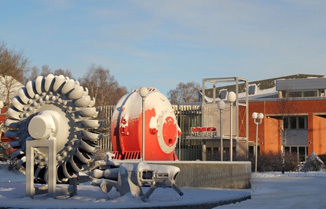 Erken was running a school for servants and young housewives between 1897 and 1927, after which she worked for the Norwegian Household Organization where she taught people to use cheap and healthy Norwegian made food. She wrote one of Norway's most famous cookbooks called Stor Kokebok which was published in 1914.